PRICED TO MOVE $3,700 below Kelley Blue Book!, EPA 29 MPG Hwy/19 MPG City! Sunroof, Heated Leather Seats, Alloy Wheels, Premium Sound System, Turbo Charged, Rear Air, All Wheel Drive, SATELLITE RADIO, Consumer Guide Best Buy Car CLICK ME! 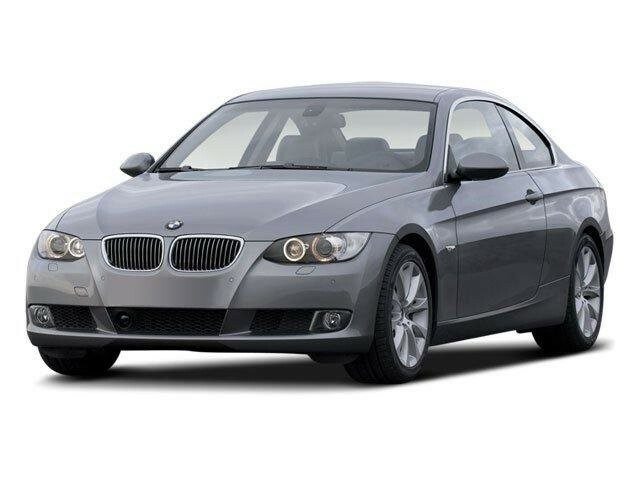 This 335xi is priced $3,700 below Kelley Blue Book. Sunroof, All Wheel Drive, Rear Air, Turbocharged, Premium Sound System, Aluminum Wheels, Dual Zone A/C Remote Trunk Release, Steering Wheel Controls, Electronic Stability Control, Heated Mirrors, Bucket Seats. PREMIUM PKG Dakota leather seat trim, universal garage door opener, pwr folding auto-dimming exterior mirrors, auto-dimming rearview mirror w/compass, front seats w/4-way pwr lumbar, BMW Assist, Bluetooth interface, COLD WEATHER PKG heated front seats, ski bag, SATELLITE RADIO, COMFORT ACCESS SYSTEM, IPOD & USB ADAPTER, 6-SPEED MANUAL TRANSMISSION (STD). BMW 335xi with Jet Black exterior and Black Dakota Leather interior features a Straight 6 Cylinder Engine with 300 HP at 5800 RPM*. Consumer Guide Best Buy Car. Edmunds.com explains "The 3 Series is BMW's top seller in the U.S. and for good reason -- endowed with world-class suspension, steering and brake components, these cars have an ability to communicate with their drivers that is unmatched in the entry-level luxury class and, indeed, unmatched by most cars at any price.". 4 Star Driver Front Crash Rating. 5 Star Driver Side Crash Rating. Great Gas Mileage: 29 MPG Hwy.